Famous Atlas brand name quality. 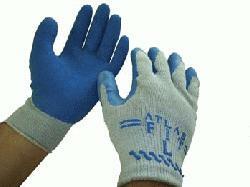 Best selling general purpose work glove! Ergonomic design, superior fit, and an outstanding grip make these gloves the most versatile on the market. Unique flexible coating and breathable seamless knit liner improve overall dexterity and comfort. Machine washable. The Original and still the best!